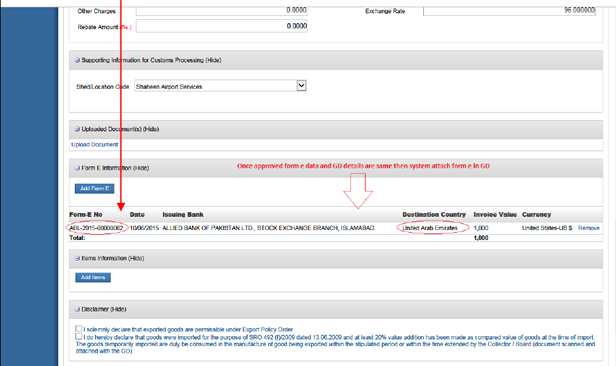 How Clearing Agent Will Add Electronic Form-E In Weboc ? Do you really want to know, What is a procedure to add approved Electronic Form-E in Weboc? If yes, then of course this is a right place for you, here we are going to discuss how a customs clearing agent will add the banks approved Electronic E-Form in WeBoc and In our previous post where we already described the complete process how an Export submit the Electronic Form-E issuance request in WeBoc. At the time of GD filing process, first we will enter other particulars after that click on ‘ADD FORM-E’ button in Form-E information section as shown in the image below. The System will re-validate with data with approved Form E information and data which claim in GD if its mismatch with each other than system show an error when attaching form-e in GD. If agents provided information during the GD filing and approved Form-E information not match so following error will show on screen. 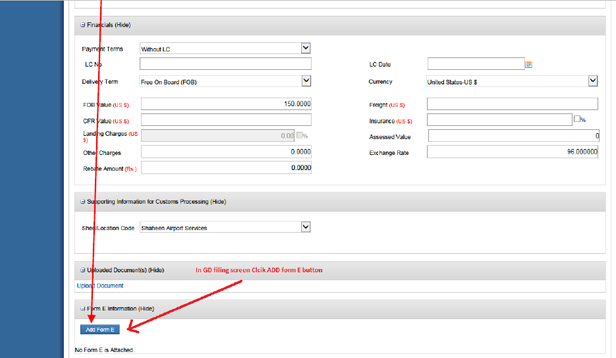 * How to Add Bank Branches In Weboc. 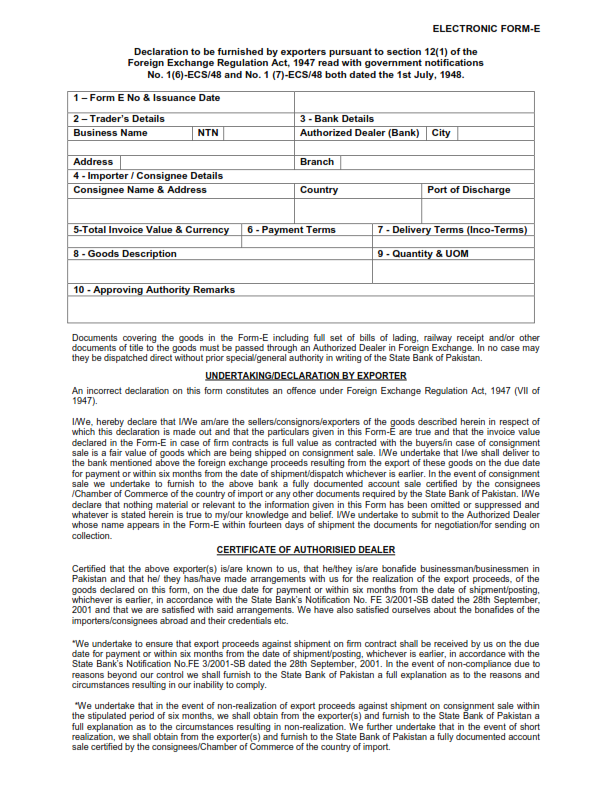 * File Request For Issuance of Form E in Weboc. * How to Create Online Electronic Form-E Issuance Request in WeBoc (Video Tutorial In Urdu).